An operating agreement is usually prepared when a limited liability company is formed. In the operating agreement, members outline the terms for future changes in company ownership. The operating agreement should be carefully reviewed and followed when changing LLC members. For example, the document will often stipulate that before a member can sell his ownership interest in the LLC, he must give other members the first option to buy. Changing ownership in violation of an operating agreement can result in unnecessary litigation and costs. State laws describe events that may trigger the involuntarily removal of an LLC member. For example, New Mexico law states if a member claims bankruptcy, that individual's membership in the LLC is automatically terminated. If a member makes significant financial assignments to creditors, this may also be grounds for loss of membership. Operating agreements may be drafted to override certain trigger events set in state law. For this reason, operating agreements and state law should be read in conjunction with one another. Ownership of an LLC can be inherited by a deceased member's heirs. It may also be transferred to the beneficiary of a deceased member's trust. If a member dies without a will or trust, the law distributes a member's ownership interest through the state's intestate succession laws. 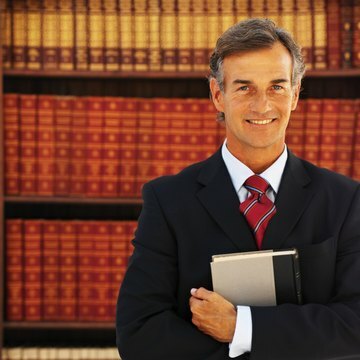 Generally, a deceased member's spouse and children would take his intestate interests. If no spouse or children survive the deceased member, LLC ownership rights would pass to the member's next closest blood relatives. Generally, adding or removing an LLC member is evidenced by a written instrument and signed by its members. Even if an operating agreement or state law does not require that a particular ownership change be in writing, it is wise to do so, as it offers clarity and proof of the change. Some states, such as Arizona, require forms to be filed with the state when certain members are removed or added. The particular requirements of when forms must be filed vary and should be researched on a case-by-case basis to ensure compliance with your state law.